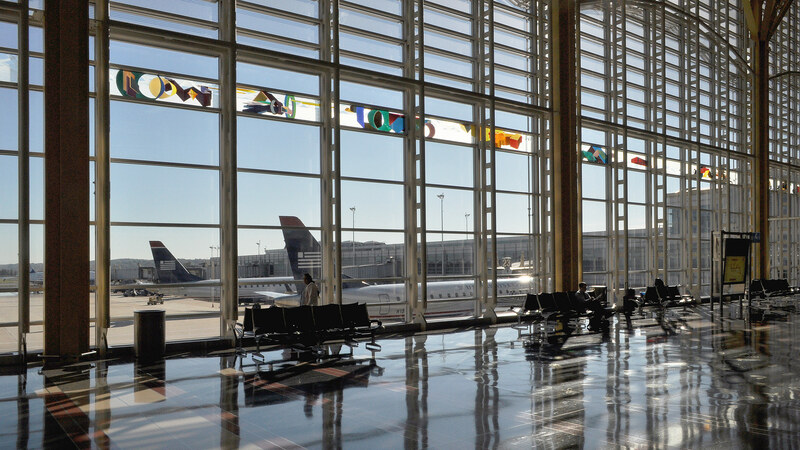 As part of the design of the North Terminal at Reagan Washington National Airport, 30 site specific works of art where commissioned and integrated into the architecture of the new terminal building. 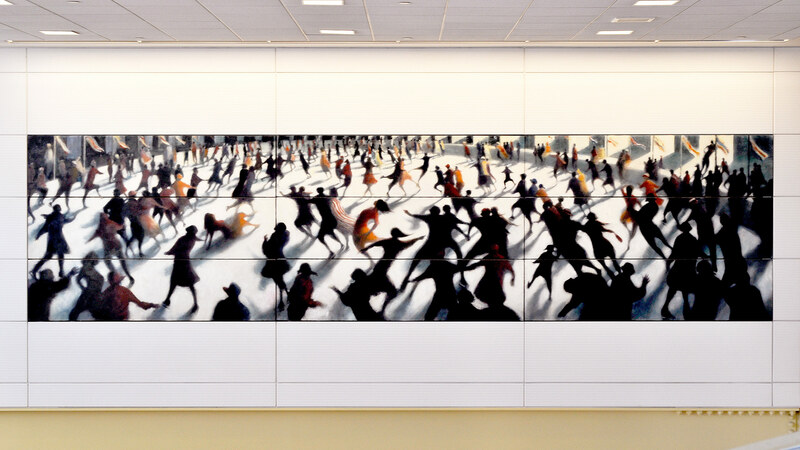 From an initial list of over 300 candidates, a range of internationally renowned artists in conjunction with highly regarded regional artists as well as up and coming local artists from the greater Washington DC area where chosen to complete works for the new terminal. To ensure that the final installations would meet the standards of building codes and the high traffic environment of the new terminal building, most of the artists prepared scaled maquettes of their designs that were then fabricated and installed by skilled craftsmen and artisans. 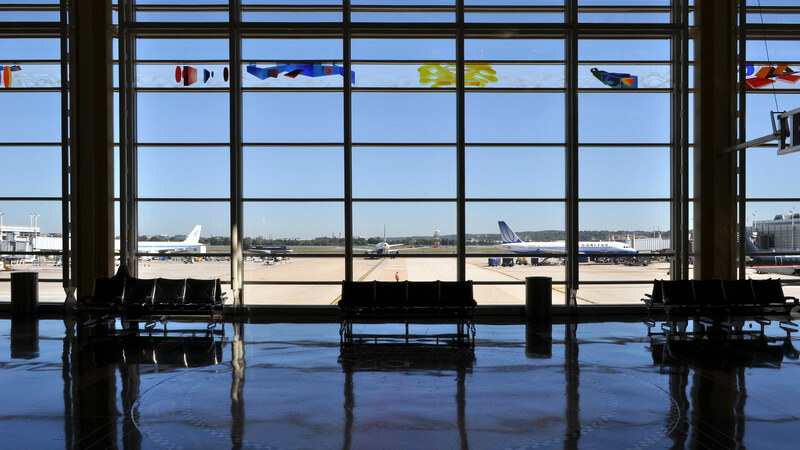 Importantly, the installations were thought of as part of the design of the new building and were integrated into the architecture of the terminal. 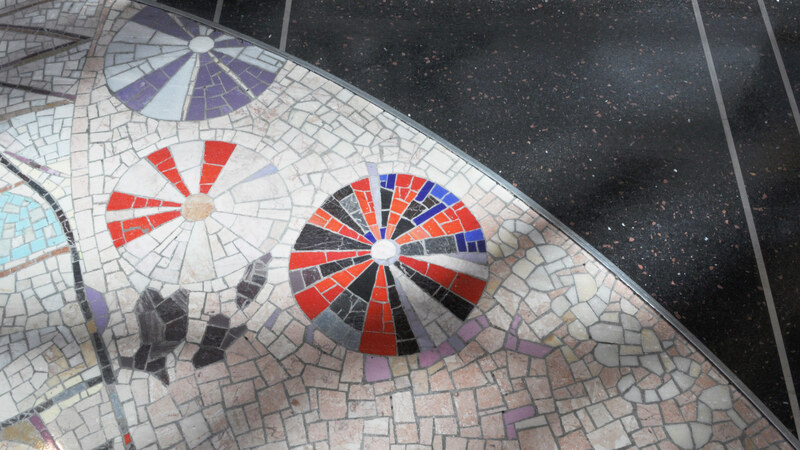 The works include marble, glass and stone floor medallions, balustrades, glass friezes, wall murals and a number of site specific sculptural works. As a designer at Pelli Clarke Pelli Architects, Isaac Campbell was responsible for the management and implementation of the Architectural Enhancement Program. Isaac oversaw the day to day work of the artists and artisans and coordinated their work with the larger terminal project.